Rajendra Jain is the chairman of, and a professor at, the Jawaharlal Nehru University’s Centre for European Studies in New Delhi, India. He is the Jean Monnet chair and adjunct professor (research) at the Monash European and EU Studies Centre of the Monash University in Melbourne. He was a visiting professor at the Fondation Maison des Sciences de l’Homme in Paris in early summer 2013 and a visiting fellow for the NFG Research Group on Asian Perceptions of the EU at the Free University of Berlin between June and August 2013. 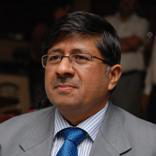 Prof. Jain has participated in nearly 150 national/international conferences. He has delivered nearly 40 lectures on contemporary Europe and India – Europe/EU/EU – South Asian affairs at leading American, Asian and European universities and think tanks. Prof. Jain is also the author/editor of a number of books, including the forthcoming India and the European Union in a Changing World and has published 95 articles/chapters in various books. Information valid as of summer 2013.